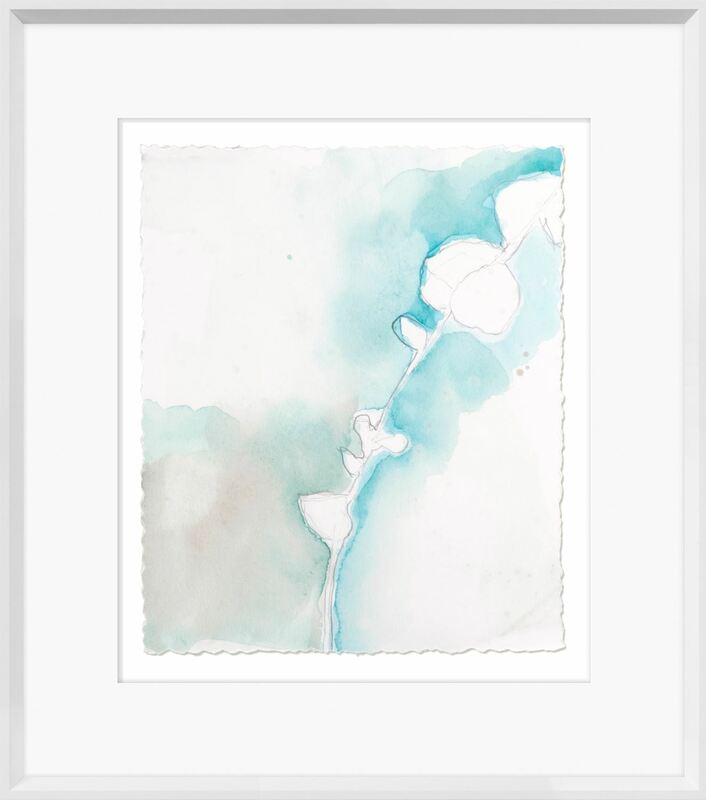 Water-colour wash and pencil drawings . 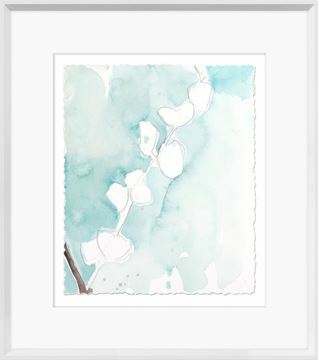 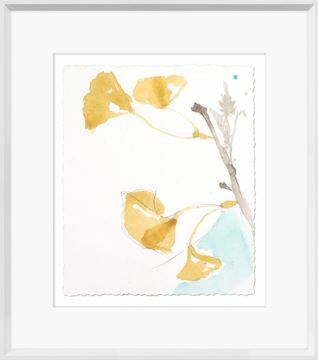 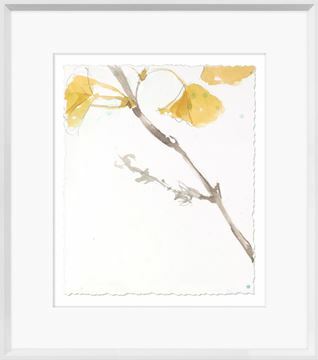 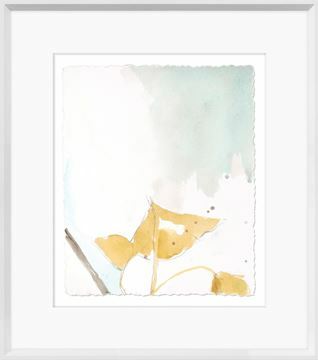 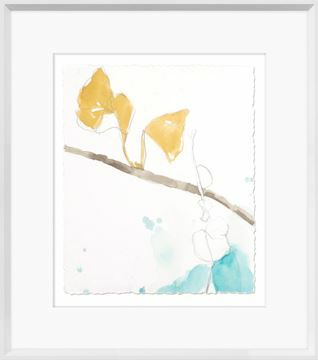 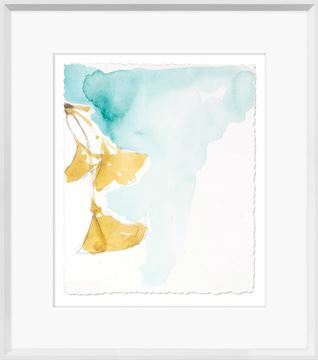 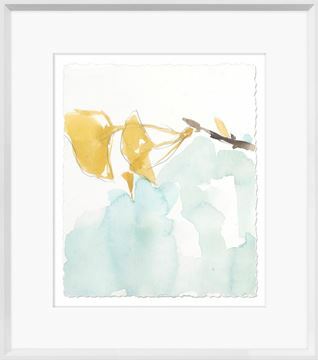 Loosely composed, freshly tinted, water-colour wash and pencil drawings in muted aqua, gold and white. 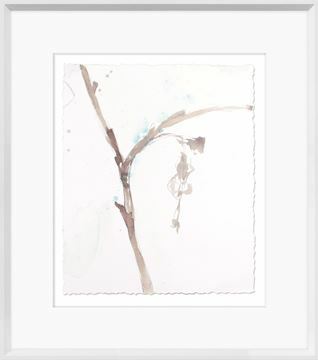 Each raised image has a torn edge, and double raised matte in a clean white frame.